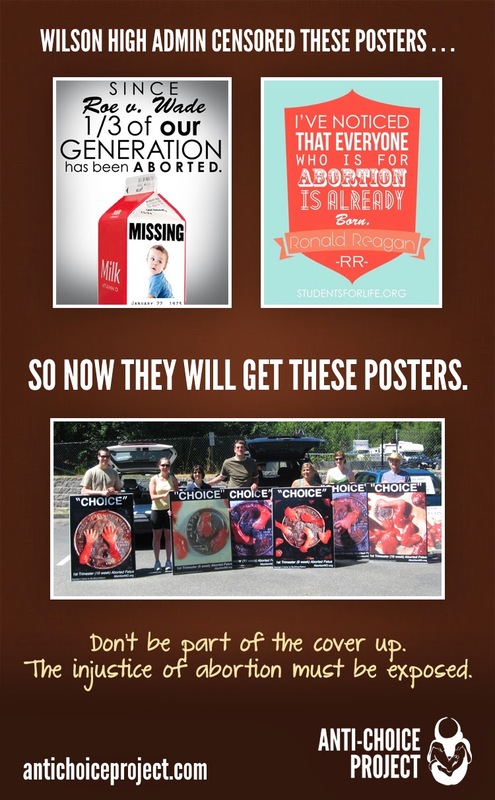 Bremerton, Washington – February 25, 2014 – Beginning Wednesday, February 26, 2014, the Anti-Choice Project will be taking its enlarged 4′ x 3′ abortion victim photos to the public sidewalks bordering the campus of Woodrow Wilson High School in Tacoma, Washington. Established in 2009, the Anti-Choice Project is a peaceful, all-volunteer, non-profit corporation which uses first and second trimester abortion victim images to educate the public about what abortion does to a baby. For more information, please email info@www.antichoiceproject.com or visit www.antichoiceproject.com.